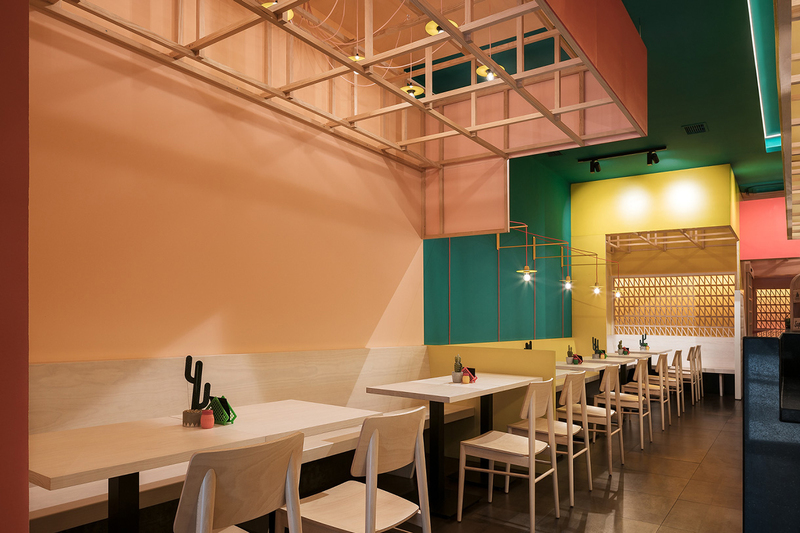 New taqueria Sierra Madre packs a colourful punch in the Spanish city of Vigo thanks its to interiors by Erbalunga Estudio. 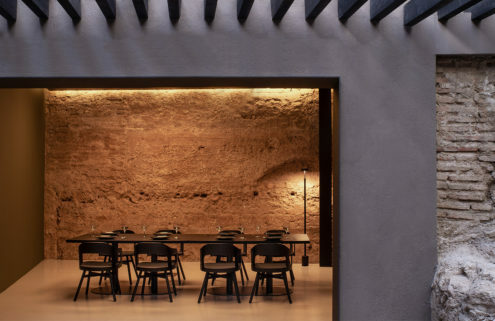 The restaurant’s Mexican owners commissioned the Galicia-based studio to reimagine a nondescript building in the city centre. 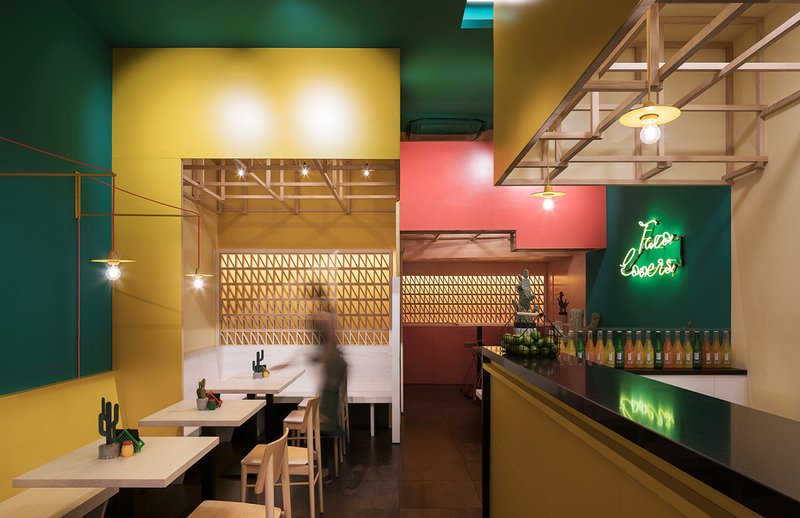 Taking inspiration from the menu, Erbalunga Estudio has brought a slice of Monterrey to Vigo, using bursts of green, pink and yellow. 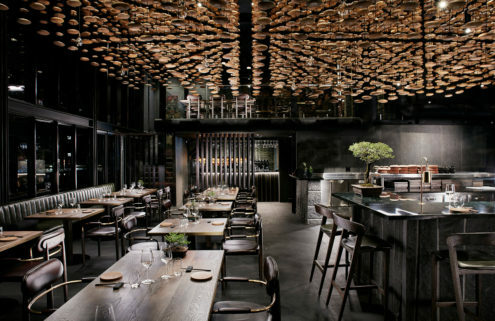 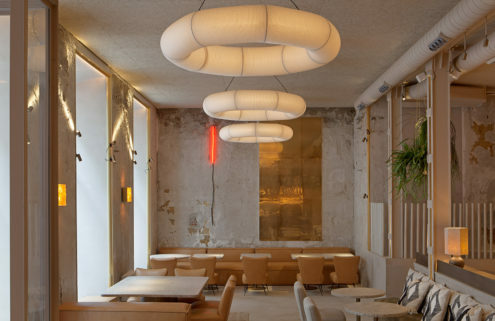 Latticed wooden volumes have been suspended from the ceiling to demarcate areas of the restaurant and provide a sense of scale, while ceramic shutters create cosy seating nooks and maintain views through the space. 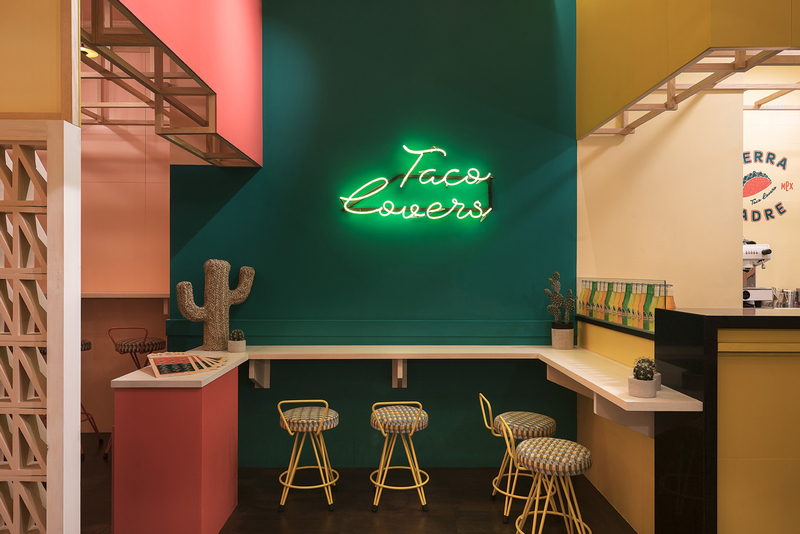 Chef Jose Fernández Cerqueira puts a twist on old favourites including homemade flour tortillas with marinated pork, pozole and campechas-style tacos with arrachera and chorizo.